Since I took over the T-SQL Tuesday a few months ago, I decided I ought to host again. Especially since I’ve done it twice, but Wayne Sheffield got his third spot last month. Gotta keep up with Mr. Sheffield. As always, the rules for this month are simple. Write and publish a post on September 11, 2018, UTC time. 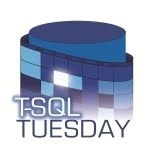 Include the T-SQL Tuesday logo (you can grab this above) and link your post back to this invitation. This entry was posted in Blog and tagged syndicated, T-SQL, T-SQL Tuesday. Bookmark the permalink. Fun topic to think about this month, thank you Steve! Thanks for hosting this round Steve. Fun topic that’s near and dear to all of us. I decided to write about “disabling” triggers. Interesting topic with some thoughtful ideas. Or pingback.. whatever. It’s bedtime. Thanks Steve! Hopefully I’m in just under the wire – I believe it’s still Tuesday somewhere!